The ‘S’ Series Drop Table is an electric, variable height drop table. 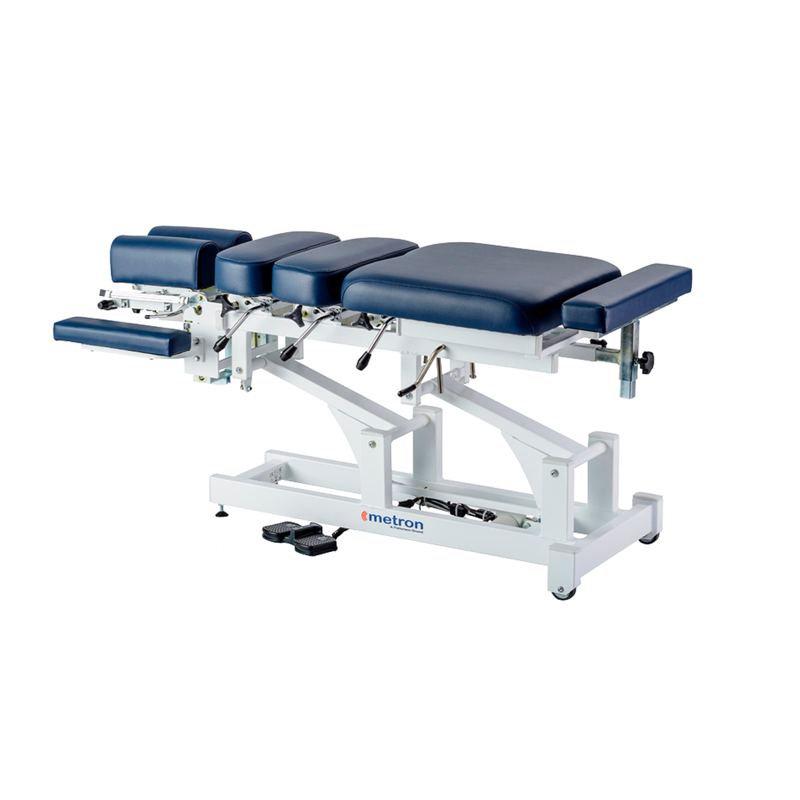 The table features four manual drops: Cervical, Thoracic, Lumbar and Pelvic. Each drop can be tensioned and cocked from both the left and right sides of the table. The drops have been designed using a linear ball bearing construction, creating a crisp and virtually maintenance free operation. Each table is also fitted with an adjustable height pelvic and head section as standard, allowing for multiple and simple positioning of all patient types. The head section whilst adjustable in height, can also be tilted for further positioning options and is also adjustable in width. Further positions are achieved with the adjustable height and length ankle rest, allowing for varying patient heights. Each cushion is formed with a double layer of foam. The first layer a very high density foam to assist with the drop technique and the secondary layer is a thin soft foam to provide patient comfort. The result is a 10cm cushion designed for both comfort and support. The table has an extremely stable base giving the practitioner a solid platform to adjust on.